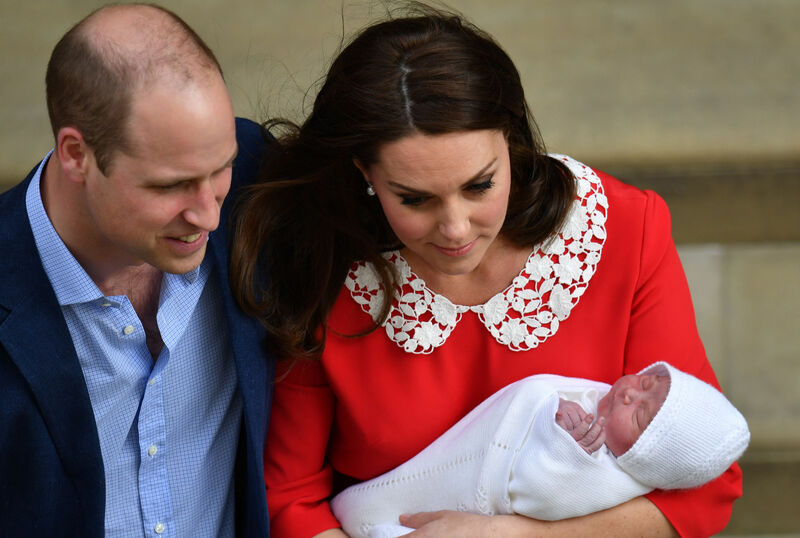 These are the first images of the Duke and Duchess of Cambridge’s third child. 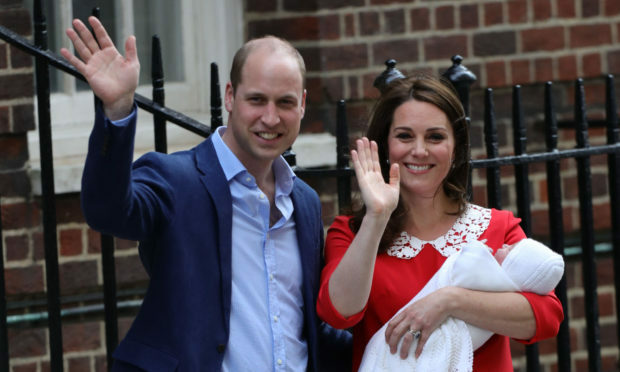 The couple, known as the Earl and Countess of Strathearn in Scotland, smiled to the press as they emerged from the Lindo Wing of St Mary’s Hospital in Paddington, London, just before 6pm. 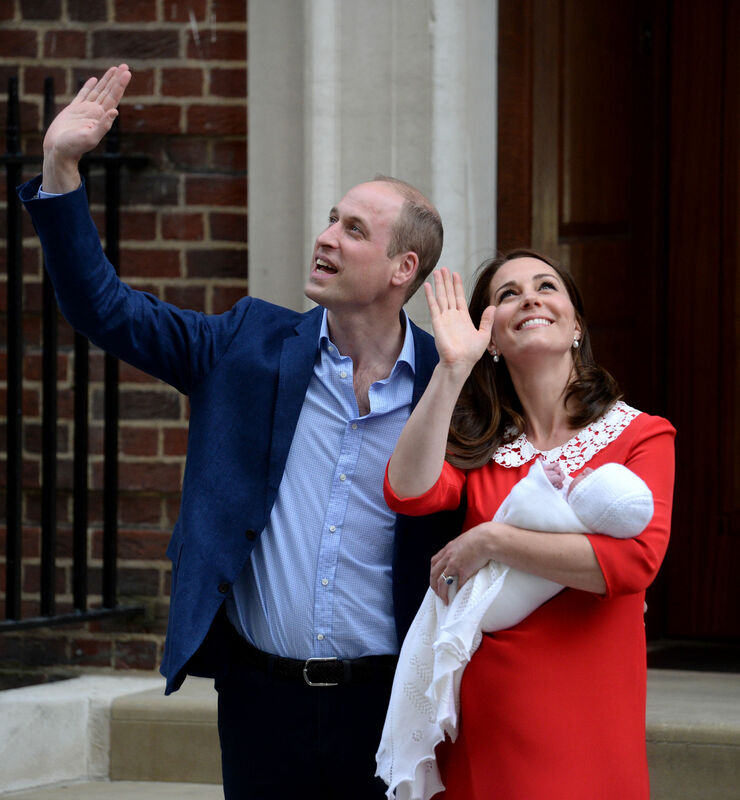 Hundreds of royal well-wishers gathered at the gates of Buckingham Palace this afternoon, as news of the new prince’s arrival was announced in a tradition which stretches back to the 19th century. The ritual dates back to at least 1837, when Buckingham Palace became the sovereign’s official residence. 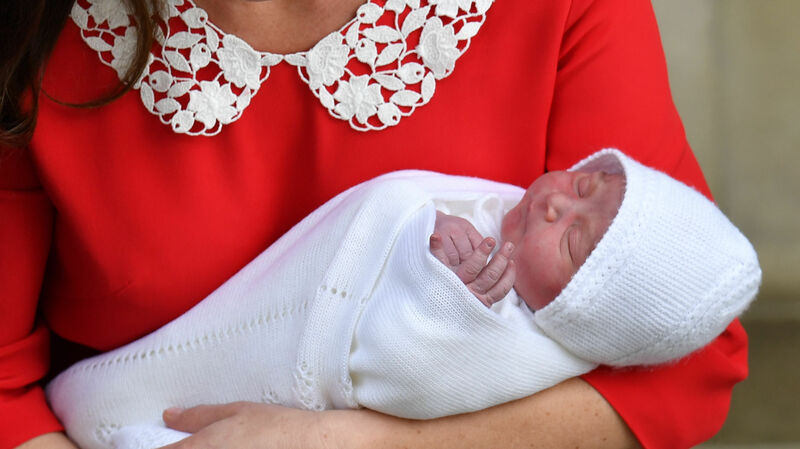 At 2:30pm senior footman Olivia Smith and footman Heather McDonald strode across the gravel at the front of Buckingham Palace to the roar of a delighted crowd, and placed the notice on the easel. 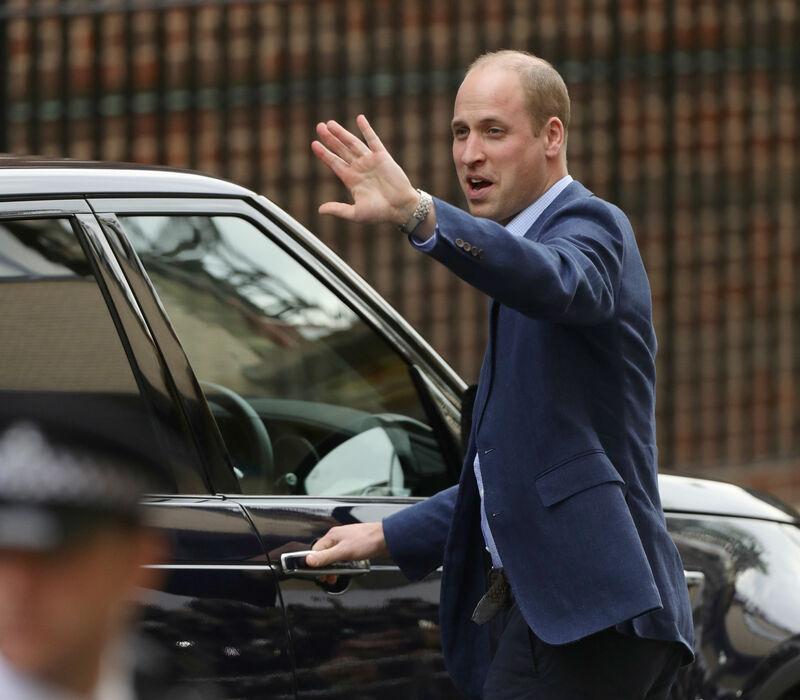 Prince William waves to the crowd as he prepares to drive Kate Middleton and his newborn son from the hospital. 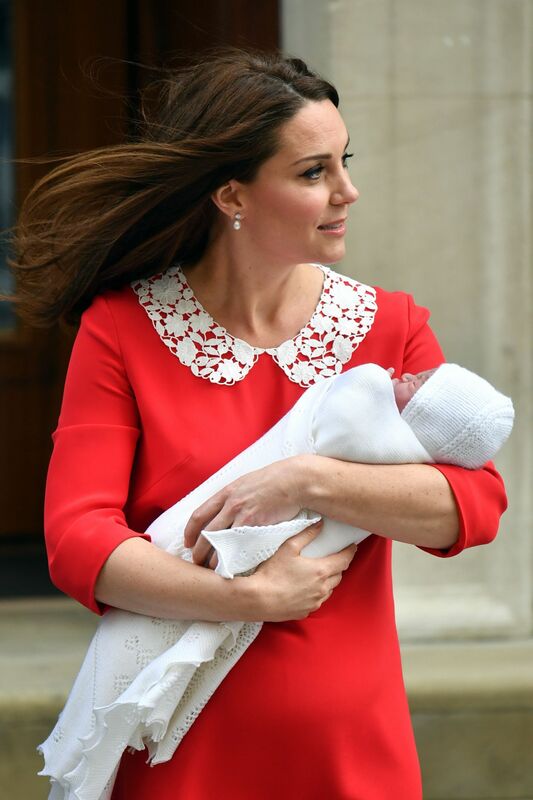 The bulletin had details of the birth, including the 11:01am delivery time as well as the signatures of the senior medical team who cared for the Duchess of Cambridge.